Continuing my kwento from our Narra Hill weekend is where we ate our lunch before checking-in and after checking-out. 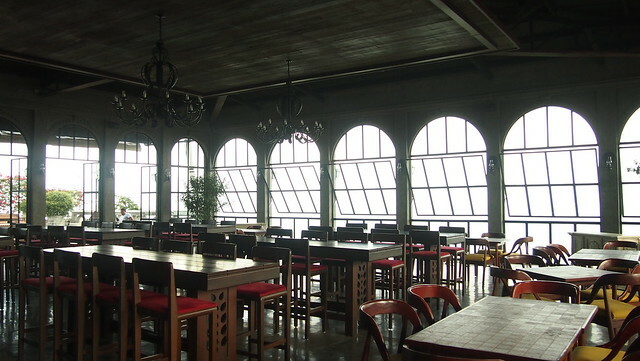 It has been awhile since we went to Tagaytay and we couldn't decide where to have our first meal. 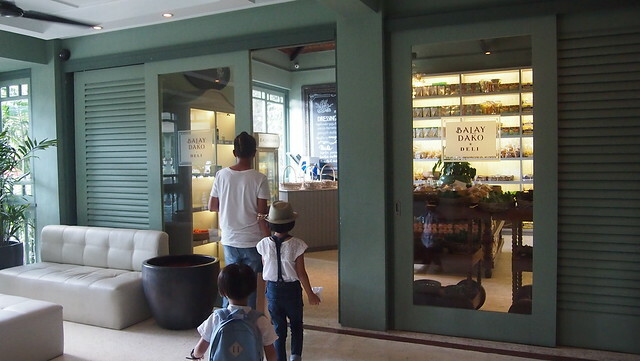 Balay Dako was the one and only restaurant on our list and we decided to eat there the next day so I checked the internet for suggestions... and we ended up at Sonya's Garden. It has been maybe 9 years since I last ate at Sonya's Garden and so much have changed! 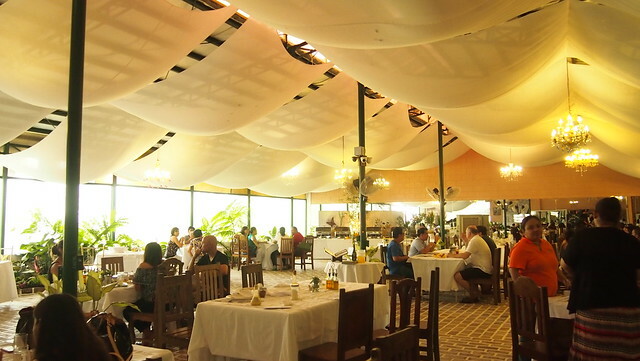 I was expecting that we will eat in a greenhouse restaurant place like I did 9 years ago but we were led to this room, the Conservatory. Parang wedding reception! The place was full even if it was 1PM na and there were still coming in. I called Sonya's Garden while on our way to Tagaytay. 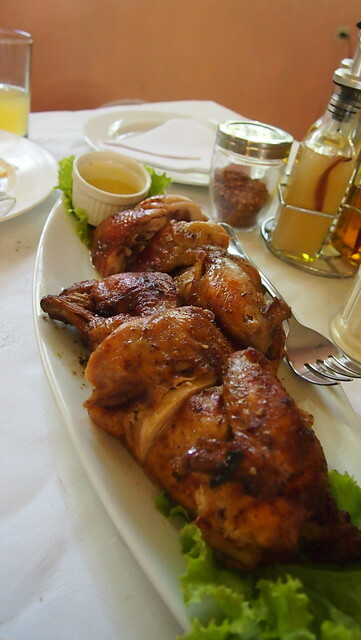 In my mind, they still serve the same food they do 9 years ago so I made an advance order of their Roast Chicken. But I was mistaken! 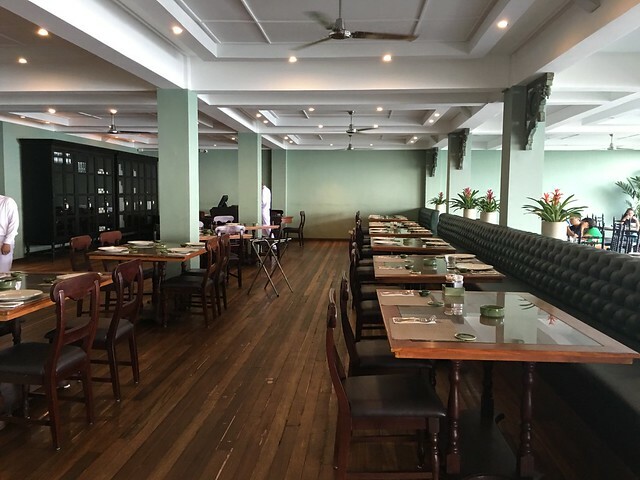 They now serve a whole buffet of different dishes including their classics which were the salad and pasta with choice of two sauces. 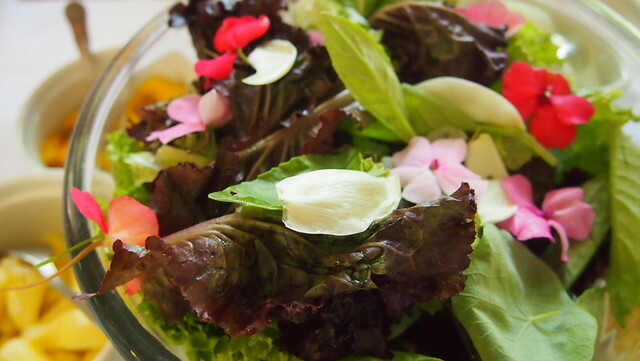 Fresh salad with edible flowers and other toppings on the side. They have one dressing only which tastes pretty much like honey mustard. 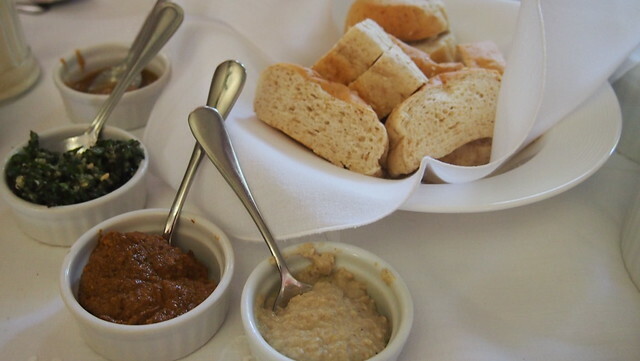 Freshly baked bread served with different types of spreads. I loved the bread. I wish we had time to go back and buy this bread from the Panaderia. 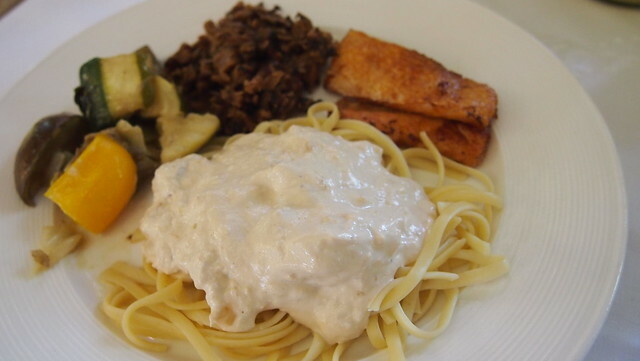 From the buffer: there's Ratatouille, Roasted Mushrooms, Salmon Belly, and Chicken Mango Cream Pasta! The Roast Chicken was big! It was good enough for 4-5 persons. We weren't able to finish this but we were able to take this home to Manila. Good thing our room in Narra Hill has a mini ref. 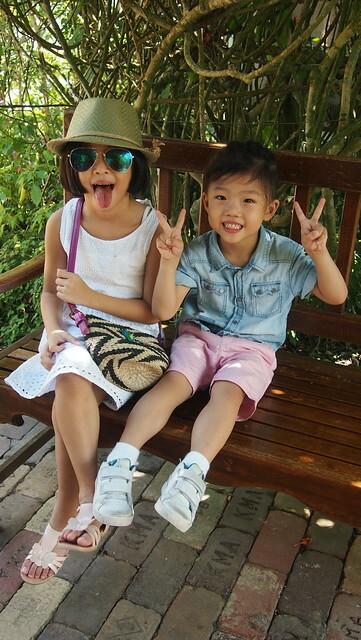 After our lunch, we roamed around the place and took the opportunity to take nice photos of the kids. But that only took a few minutes, then R didn't want to cooperate anymore! Haha! 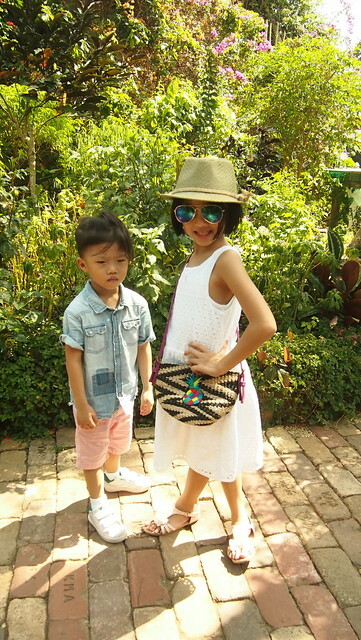 After having our late lunch in Sonya's Garden, we went on to our unforgettable stay at Narra Hill (read all about our stay here) where we had our dinner later that night and breakfast the next day. 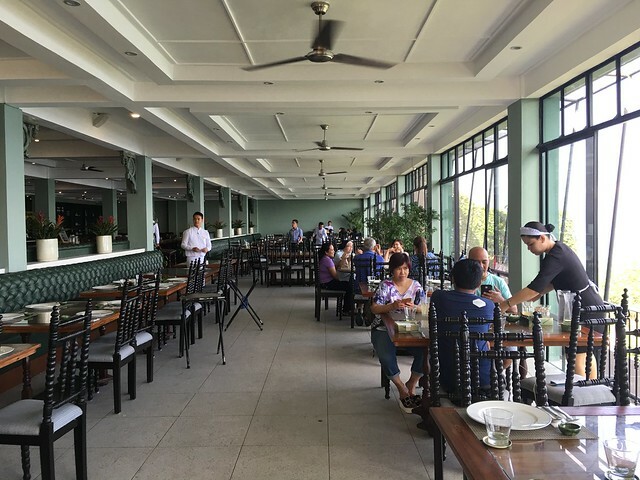 After checking out, we headed to Balay Dako to have our lunch. We've heard a lot of great things about the place! 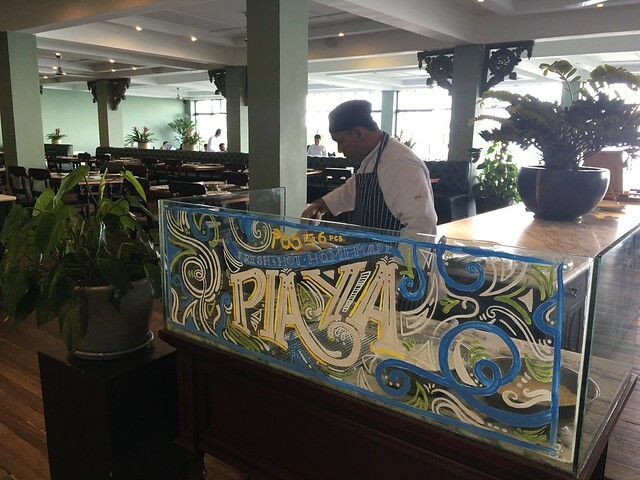 We wanted to try their weekend buffet but we felt it would be bitin if we ate here before checking-in, we'll come back for breakfast! 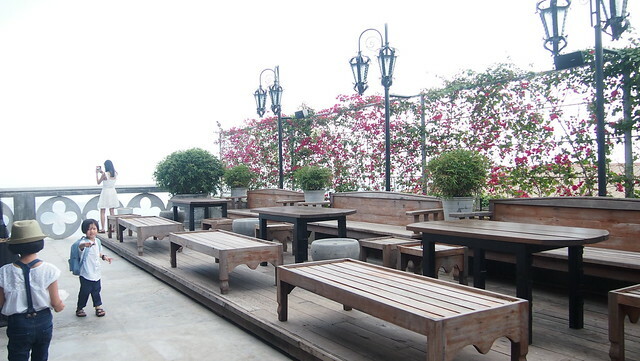 Balay Dako means big house is Negrenese which explains huge place, with an overlooking view of the Taal. Love the interior! 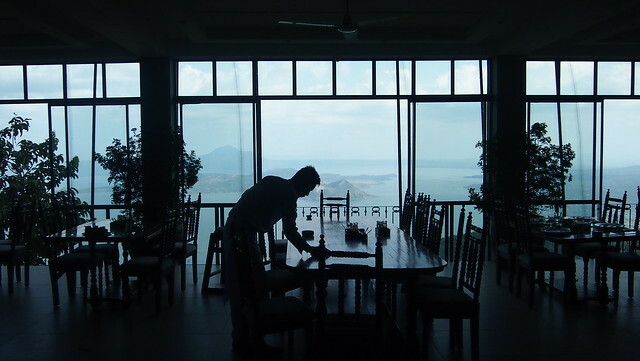 There's something about dining Filipino food in Tagaytay with a view of the Taal, nakakagana at masarap kumain noh? I guess the weather has a factor too. 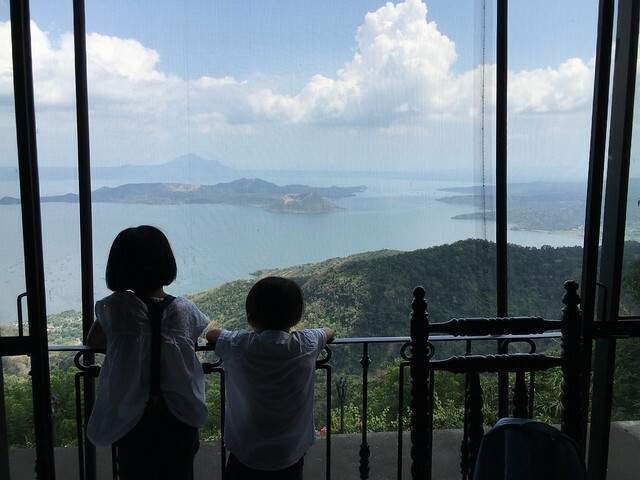 Kids admiring the view while waiting for our food to arrive. Balay Dako serves Filipino food and as always BOS ordered a lot, maybe food enough for 3-4 people. Ganon kami kumain lagi kaya we always have food to take home! Haha! 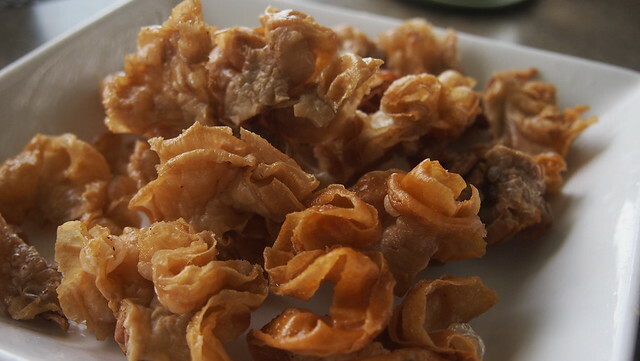 Chicharon Bulaklak (Php300) for anti-aging. Char! Food was served in 20 minutes. Look at their servings, it's big! Kaya madami talaga kami nauwi! 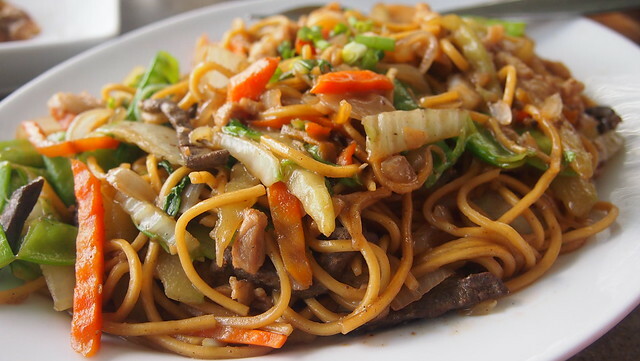 Always a staple when we dine out, kelangan may ramen/noodles/pansit for the kids! 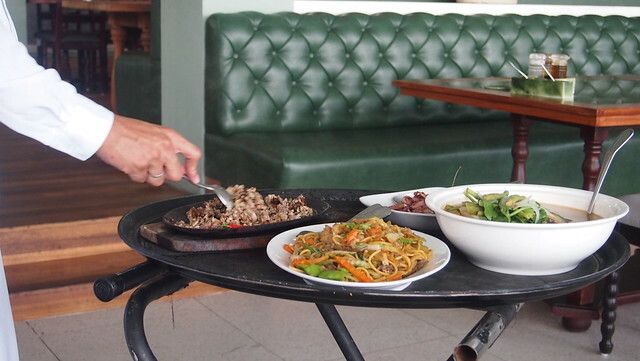 Pancit Canton (Php370) was delicious, we all liked it! 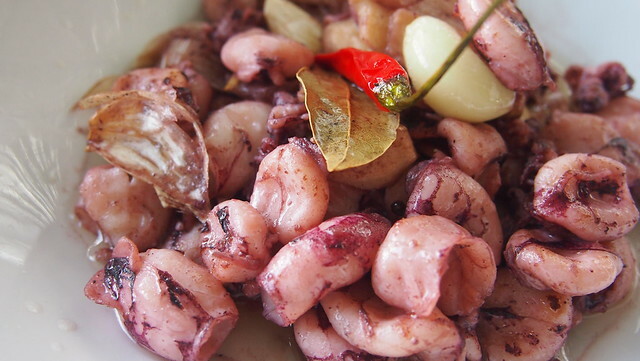 Pusit pusit some more! Heehee! I love squid so when I saw this on the menu, I knew I had to order it. 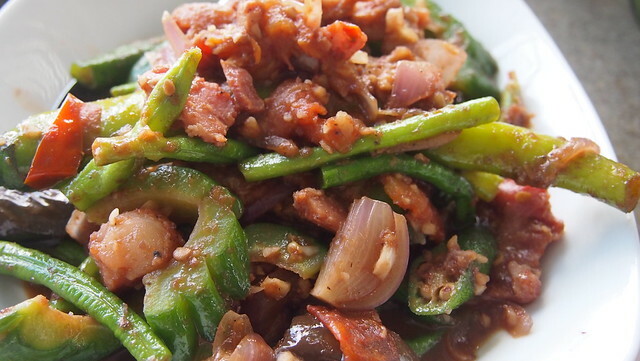 Sinuteng Pusit (Php530), I think I finished this by myself. Hello uric acid! Haha! 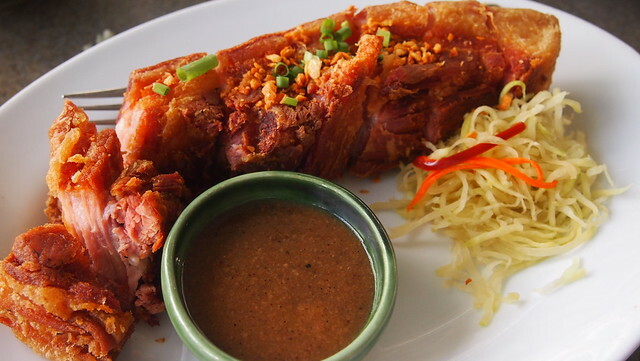 Lechon Kawali (Php480), pork cubes brined overnight with lemon grass then deep fried. It's tender and crispy! Goes so well with rice! 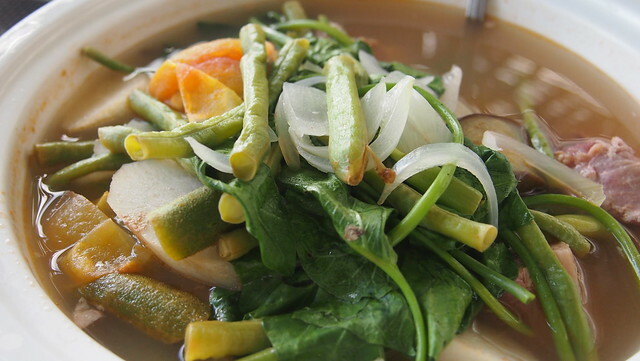 To balance all the food, we ordered their Pinakbet (Php220)! 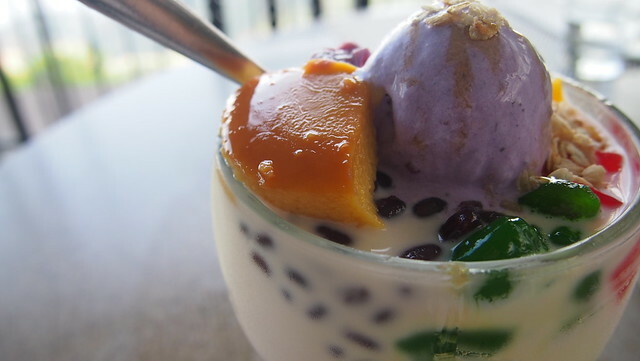 I had the Halo-Halo ni Antonio which was huge! Katakawan lang. I think 3 people can share this. 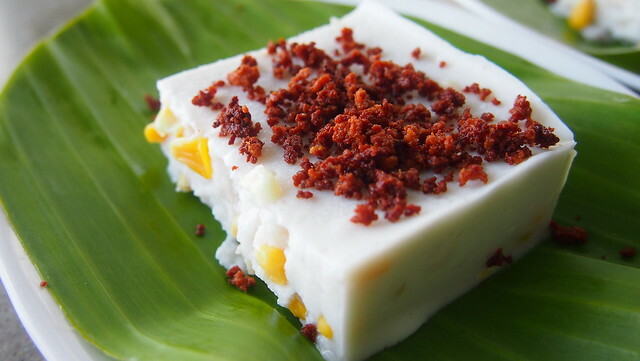 Maja Blanca (Php75), BOS said he had better. 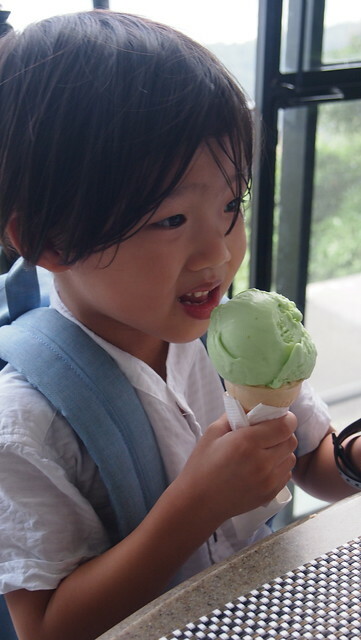 Y and R had a scoop of Sorbetes (Php55). 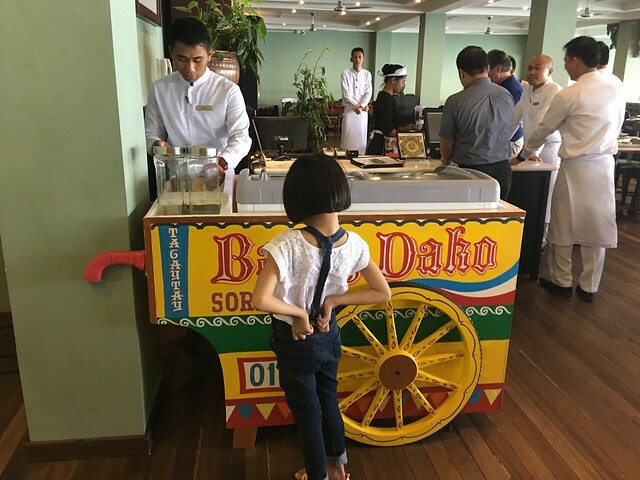 FIC in a sorbetes cart! 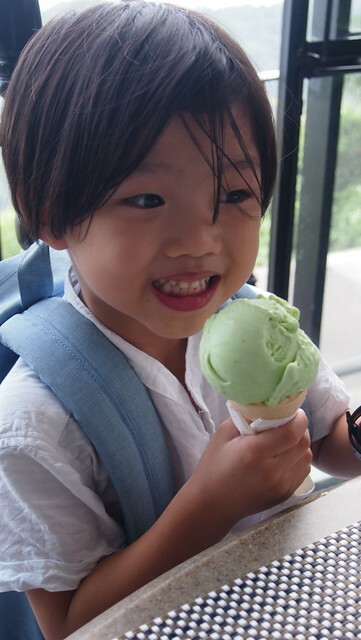 R who always picks green colored ice cream because of Mater. If you've watched the Cars movie, you would know what I mean! Wasabi daw flavor kahit na hinde! Heehee! Freshly cooked Piaya for Php65 for 6pcs! 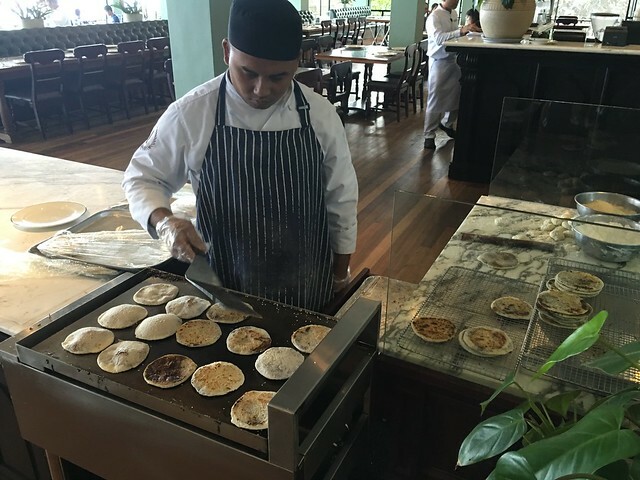 After our lunch, we went around to check out the place and as it turns out, they serve their breakfast buffet in a different area! 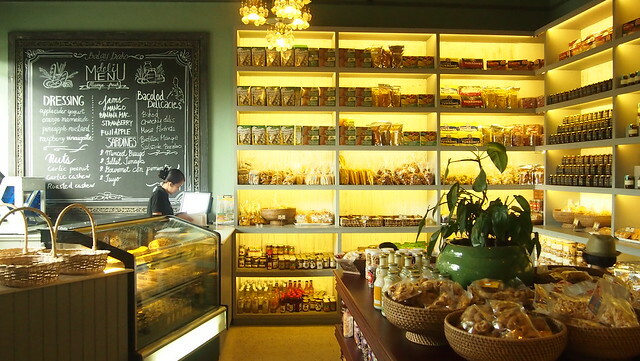 We must come back soon and try their breakfast, ok BOS? There's a deli that sells Antonio's products. 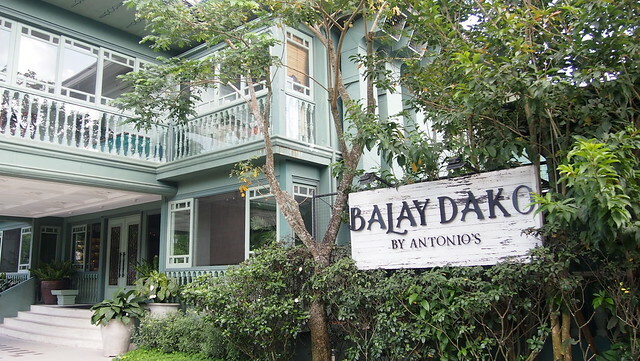 If you haven't been to Balay Dako, it is worth the try!